JNTUA M.Tech II sem Regular & Supple Exams on 05-10-2015 are Postponed, jntu anantapur postponed m.tech 2nd sem exams due to Seer Akademi. 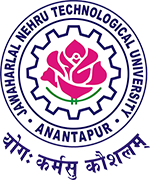 JNTU Anantapur M.Tech (Seer Akademi) II sem Reg & Supple Oct 2015 Exams – Postponement and reschedule date of Examinations originally scheduled on 05.10.2015. Sub: JNTUA – Examinations Branch – M.Tech (Seer Akademi) II semester Regular & Supplementary October 2015 Examinations – Examination on 05.10.2015 – Rescheduled – New Date – Notified – Reg. M.Tech (Seer Akademi) II semester Regular & Supplementary October 2015 Examinations scheduled on 05.10.2015 (Monday) are postponed in view of Campus Placement and are rescheduled on 16.10.2015 (Friday). The timings of the examinations shall remain the same. The principal of JNTUA College of Engineering, Ananthapuramu and Co-ordinator, Seer Akademi are requested to note the same and inform the students concerned immediately. Tell me whether it belongs to JNTUA affliated colleges………what is seer academi? JNTUA M.Tech (Seer Akademi) II semester Regular & Supplementary October 2015 Examinations scheduled on 05.10.2015 (Monday) are postponed in view of Campus Placement and are rescheduled on 16.10.2015 (Friday).